A new year is upon us, and the Falconcrest Homes team has been busy. With many neighbourhoods nearing completion the new year will focus on landscaping, framing, and moving forward in phases of construction and sales. Here is a look at some of the Falconcrest developments, and where the builders are in the construction. The popularity for townhomes and semi detached units in the Greater Toronto Area has accelerated the number of housing developments Falconcrest Homes is working on. Here is a construction update on two of our latest communities: Pebble Creek and Summervale. Located in the charming community of Woodbridge, Ontario, Pebble Creek is a new housing plan in the earliest stages of development. The site is currently fully serviced, and the construction of homes has not begun. Upon completion, the community will feature 59 townhomes and 4 semi-detached units in a naturally forested area. Each unit will be finished with heritage style stone and brick exteriors, and a luxurious interior finish. The new community will also feature a park that will be exclusive to its residents, and the naturally forested location will create a quiet, shaded escape from the busy, everyday city life. Summervale is a new development that will feature elegant homes in the community of Bowmanville, Ontario, just east of Toronto. Construction on these homes started on May 1st, and the plans are well underway for the development of the land. The site will feature 43 townhomes, semi and detached homes, each with elegant exterior finishes and meticulously planned architectural designs. Located very close to schools, walking trails, parks, and shopping, the community will be a family friendly neighbourhood. For commuting, the location is ideal, as it is near highway 2 and the 401, making access to the city effortless. This development is currently in phase I, and Phase II is tentatively planned for early 2018. Regardless of whether you are a first time home buyer, or are searching for a new oasis to call your own, these two communities are only some of the examples of the many communities Falconcrest Homes is proud to provide to the housing market. For more information on Pebble Creek and Summervale, visit the Falconcrest Homes website. Spring is in the air, and the weather is getting warmer, which means it is the perfect time to get outdoors and enjoy what nature has to offer! If you are wondering where to go, here are some of our favourite parks and conservation areas close to Summervale and Bowmanville. Situated right in the heart of Bowmanville, this park is perfect for the whole family. The park is a total of 2.02 hectares, and it features a paved walkway, two playgrounds (for different age groups), a baseball diamond, benches, a gazebo, and a splash pad. So whether you are looking to go for a nice walk, or spend an entire day with the family, this park is perfect for whatever your plans may be! Canadians love their coffee. In fact, in 2015 Canada ranked number 1 out of 80 countries for the amount of coffee drank at cafés and coffee shops (CBC). The good news for coffee drinkers is the International Agency for Research on Cancer recently reported that up to four cups a coffee may lower the risk of colon cancer. Luckily, for those living in Vaughan and Bowmanville, there are many great, locally owned cafés to grab a cup of java: morning, afternoon and evening. Read on for where to find the best coffee in Kleinburg, Newmarket, Woodbridge, and Bowmanville. 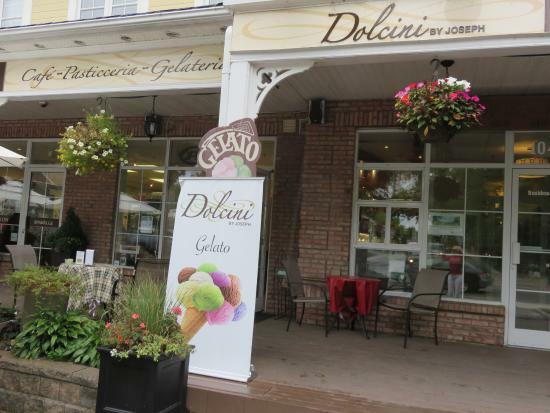 Dolcini by Joseph in Kleinburg is a quaint little café in the heart of Kleinburg where shoppers can enjoy coffee and handcrafted artisan desserts. Dolcini, located at 10462 Islington Avenue in Kleinburg, is the perfect spot for a good cup of java and tempting pastry. Bowmanville offers families, singles and empty nesters many entertaining, year-round activities. Whether you like art, music, dining, shopping, sports, or outdoor recreation, Bowmanville has it all. Conveniently located 75 km east of Toronto and 15 km east of Oshawa, Bowmanville’s fun and entertaining activities are enjoyed by both locals and visitors. Read on for a few of our favourite activities in Bowmanville. Cedar Park Resort is open from June to September, offering endless fun for families, schools, or any large or small group. Daily admission is between $10 and $12 depending on age and time of year. For a day or weekend of fun, consider a family trip to Cedar Park Resort. Cedar Park Resort, 6296 Cedar Park Road, Bowmanville. The historic community of Bowmanville may be small, but there is no shortage of fun and educational activities. Bowmanville’s heritage homes are also close to the north shore of Lake Ontario. 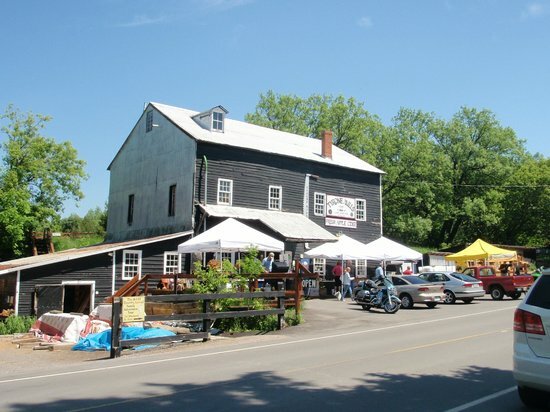 The community is located 75 km east of Toronto within the city of Clarington. It is an easy commute for visitors from the big city. Whether you are a local or a guest, if you are looking for fun and engaging pastimes, consider Bowmanville. Here are seven things to do in Bowmanville. Father’s day activities in Vaughan, Newmarket, and Bowmanville. Father’s Day is a wonderful opportunity to show your dad how much you appreciate and love him. And while an extravagant gift may seem a good way to show your gratitude, the gift of spending quality time with your dad, doing an activity he loves, will be something he will treasure for a lifetime. Fortunately, if you live in Vaughan, Newmarket or Bowmanville Ontario, there are many fantastic opportunities to enjoy this important day with your dad. Below are several Father’s Day activities in Vaughan, Newmarket, and Bowmanville your dad is sure to enjoy. March (or spring) break vacations should be a time for relaxing, recreation and rejuvenating. A time to get away from the stress of day to day work and school and have fun, positive family time. Traditionally a vacation involves traveling away from home, which can be exciting but also exhausting and expensive. An alternative to all the tedious planning and packing is a March Break Staycation: a vacation spent at home taking day trips to local attractions. Fortunately, if you live in or near Woodbridge, Newmarket or Bowmanville Ontario, there are many wonderful activities, events and adventures to fill your staycation week, regardless of your age and interests.